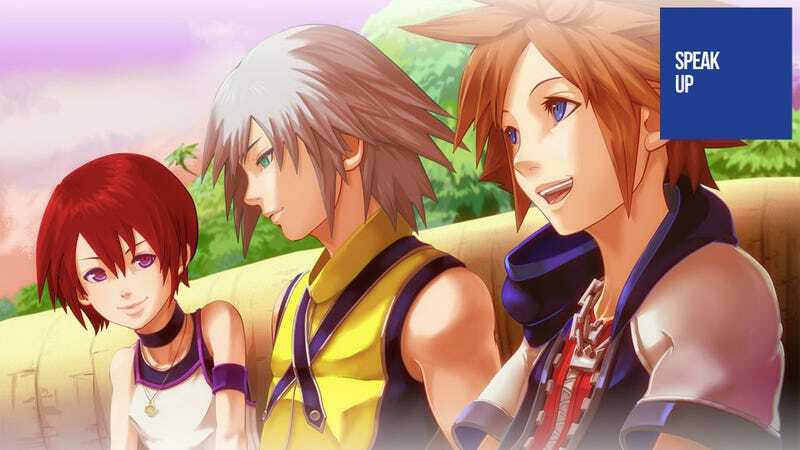 Commenter Madammina's tale of playing through Kingdom Hearts with her little brother reminds us how much fun it is to play video games with our loved ones in today's Speak Up on Kotaku. I'll have to replay Birth By Sleep (again, sigh) with him when I'm done with Kingdom Hearts 2, but it's still just nice. More people should do it, just sit down and play with no thought on trophies, scores, theories, whatever. Just hang out with the family and have fun.